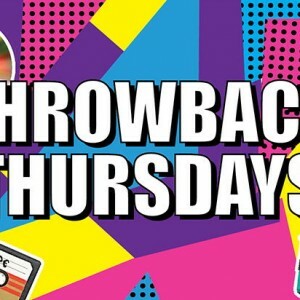 Ladies Night: Throwback Thursday Video Dance Party! | Rachael's: Sports • Food • Fun! Southside Savannah's Premier Sports & Entertainment Bar! Ladies Night: Throwback Thursday Video Dance Party! Dance the Night Away with Our Throwback Thursday Video Dance Party! All Your Faves from the 80s, 90s and 2000s! DJ Mixx That will be mixin and scratching all night! PLUS, Ladies Get BOGO ALL NIGHT! ST. PATRICK’S DAY BASH! PLUS… $30 SHUTTLE PARTY PACK! A.B.C. Party: Thursday, March 14th at 10 PM! • Costume Contests • Drink Specials and SWAG! Ladies Night Wine and Canvas: Thursday, February 21st at 6 PM! Join Us For the Big Game on Sunday, February 3rd! Party starts at 5!